What Do I Need to Know About Investing in Fixer-Uppers? Fixer-uppers sometimes require more work than you expect. 2. What if a Property Doesn't Meet Criteria for an FHA Loan? Investing in fixer-uppers is a high-risk, high-reward activity. On the one hand, you have the opportunity to buy properties at a discount, do a little bit of work and sell them for a significant profit. On the other hand, you have to lay out upfront money in the hopes that you'll be able to recoup your costs at the end of the transaction. Along the way, you have to deal with the risk of unforeseen repairs and market fluctuations, as well as the varying costs between the time you buy and the time you execute your exit strategy. 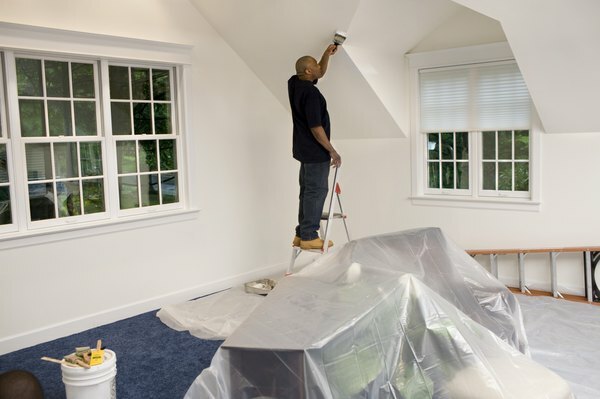 When you look at fixer-upper homes, try to find homes that require cosmetic work as opposed to structural work. Homes that have a sound structure and sound systems, but that are dated or ugly, usually sell at enough of a discount that you can make a healthy profit fixing them up. This saves you from the risk of buying a home with more structural defects than you originally thought and helps limit your downside exposure. When you buy a fixer-upper, make sure you have extra money in reserve. No matter how much you inspect a property before you buy it, once you start working on a property, you will frequently find issues that you had not seen before. As such, it's a good idea to have a healthy reserve fund so that you can fix or modernize all that needs to be done. Investment property mortgages can be challenging to obtain in some areas, and many lenders are especially reticent to lend on properties that need work. If you cannot get a loan from your bank, consider going to the private lending market. Private lenders, also called hard-money lenders, will typically lend money on deals that banks won't. In exchange for their flexibility, they usually charge higher interest rates, high origination fees and require sizable down payments. However, being able to borrow money, even at high cost, might make your fixer-upper investment more profitable. In some cases, private lenders let you finance your repair costs, along with the original purchase price. If you hold onto an asset for less than a year, the IRS will treat it as a short-term capital gain, and you might have to pay capital gains tax at your marginal income tax rate. To take advantage of the lower long-term capital gains tax rate, you will have to hold the house for at least one year. Bear in mind that if you bought the property to rehabilitate and sell, you might not be able to engage in a tax-deferred exchange into your next property, so you could very well end up paying the capital gains tax. An accountant can help you manage your tax strategy. Fixer-uppers are only good investments if you can get your money back, plus a profit, when you are done fixing them up. To increase the chance that your fixer-upper investment is successful, have both a primary and a secondary exit strategy. In many cases, your primary exit strategy will be to sell the property to a homebuyer at a profit once it is in livable condition. However, if you can't sell it, you'll be stuck with the home. As such, make sure that any home you buy and repair will also be profitable if you have to hold on to it and rent it out until you can sell it. CRE Online: What's Your Exit Strategy?